The victory of the Revolution with the guidance of Fidel’s strategic wisdom was crowned with the construction of socialism. At every moment, in each stage of the construction process, the deep comprehension, foresight and leadership talent of the commander-in-chief was involved. His touch could be traced in every detail. In the eyes of the Cuban people the only hero who made history and was known to be remembered for centuries long before his death, was Fidel. 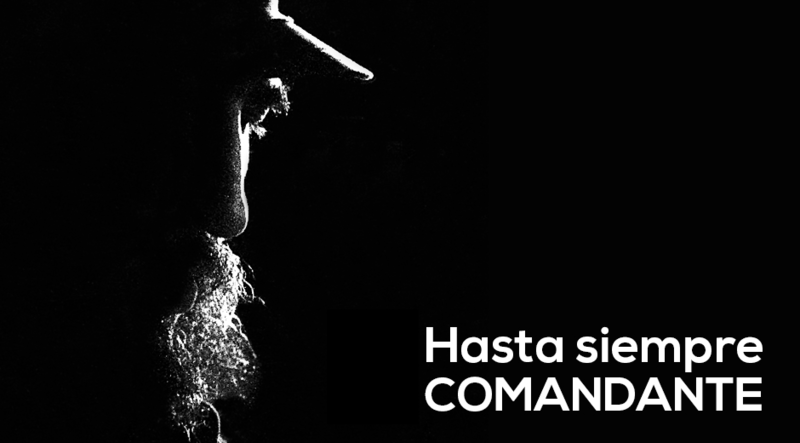 The modesty of his, which is mainly motivated by commitment, characterized all the revolutionary leaders following Fidel. This trait made them an integral part of the Cuban people and played a big role in the consolidation of the Cuban Revolution. Fidel’s role was unique in transferring the message of the Cuban Revolution in an universal scale, transcending the borders of a tiny Caribbean island. He was the one who made the most effort to inspire the Cuban socialism by inscribing José Martí’s phrase “homeland is the humanity” . Under his leadership the Cuban socialism, not only inspired the people struggling against poverty, exploitation and imperialist aggression, but also became universal by offering generous support to every corner of the world. Now, in his absence, the Cuban people will carry on the path of socialism not by attaching its destiny to a leader’s physical presence, but by preserving the achievements of that leader’s lifelong struggle. .